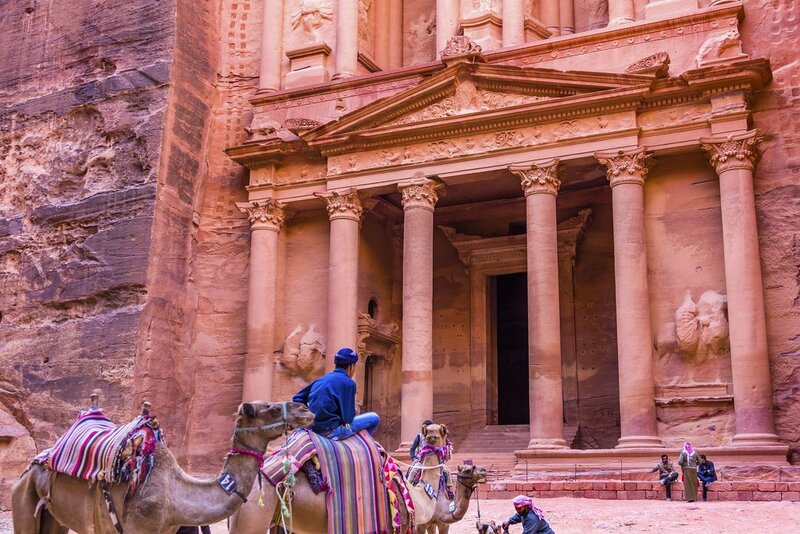 While most people visiting Jordan are familiar with Petra, there is much more in Jordan to see and do — from hiking oak forests in the north, to enjoying a sunset dinner at a rooftop restaurant in Amman, to snorkeling in the Red Sea in the south. Traveling to a new destination raises a lot of questions. Here are some answers to help you properly prepare for your Jordan journey. By air: There are two international airports in Jordan: Queen Alia International Airport in Amman and King Hussein International Airport in Aqaba. If you are traveling from outside the Middle East, Amman is your best bet. By land: If you are coming from neighboring Israel or the Palestinian Territories, you have three border crossing options for arriving in Jordan: King Hussein Bridge in the north, the Allenby Bridge near the Dead Sea, or Wadi Araba on the Red Sea. Be sure to double check visa requirements, exit taxes, and hours of operation, as these are subject to change. You'll find some helpful tips in this article on all you need to know about border crossing, logistics, and visa requirements. At 34,495 mi², Jordan is a relatively small country — slightly smaller than the U.S. state of Indiana. From Um Qais in the north to Aqaba in the south, the entire length of Jordan is just over 400 miles. The Dead Sea resorts (to the south of Amman) and the Roman ruins of Jerash (to the north) are both less than an hour from the capital city, and the top tourist destinations of Petra and Wadi Rum can be reached by car in about 3-4 hours from Amman. Visitors generally travel by car, although domestic flights between Aqaba and Amman are an option. Most likely, yes. For some travelers, a visa can be obtained on arrival (no longer available at the Wadi Araba border crossing). It is best to check the Jordan Tourism Board’s visa info page to determine if citizens of your country need to obtain a visa before arrival or if you can get one on arrival. Jordanians are known for their warm hospitality, making Jordan not only a safe place to visit, but also extremely welcoming. Although there is unrest in other areas of the Middle East, Jordan is peaceful and often referred to as “the quiet house in the noisy neighborhood.” Of course, you should still take the usual precautions you’d take most anywhere you travel in the world: Leave the expensive jewelry at home, don’t flash wads of money, keep your valuables close by or locked in a safe, and don’t wander off alone at night. If you are traveling to the northern part of Jordan, be aware that you may be asked to show your passport at checkpoints and should not attempt to cross the border. The Syrian border crossings are currently closed and you will not be permitted near them (as of writing this in early 2018). Absolutely! Jordanians tend to be very family-oriented, so children are welcome in most places. You can find more details on family travel in this article. While you can visit Jordan any time of year, spring (March - May) or fall (September - October, though September and October can still be hot) are likely to be the most comfortable weather-wise. Summer can be unbearably hot and winter can be quite cold and rainy with shorter days and less light. If spring or fall travel isn’t possible, summer is the next best option — more hours of sunlight mean more hours in the day to explore. How many days should I spend in Jordan? To determine how many days to spend in Jordan, consider your budget, schedule, and what you want to see and do. If you only have three days and want to see Petra and the Dead Sea, you can check out our Petra and the Dead Sea in 3 Days itinerary. Or spend an extra day, and visit Amman, Petra, and Wadi Rum in four days. If you’re looking for an intro to Jordan, you’ll need about seven days to see Amman, Jerash, Mt. Nebo, Petra, Wadi Rum and the Dead Sea. If you’d like to get a good taste of all that Jordan has to offer, we recommend a 10-day or two-week stay. Check out our Two Weeks, Two Ways itinerary for inspiration on how to spend 14 days in Jordan. Ask our specialist to recommend an itinerary and length of stay, suited to your interests and budget. I don’t speak Arabic. Can I travel independently? Yes and no. Many people in Jordan speak at least a little English, but it may be very limited. If you are in Amman and tourist areas such as Petra, you will likely be ok. If you are traveling off the beaten path, you’ll want to book a local guide. Beyond simply assisting with communication, a local guide can offer valuable knowledge of culture, history, food, and customs that you may not otherwise learn on your own. It depends. 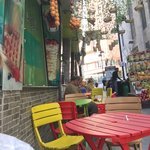 If you are on a budget, you can find affordable local meals — like a falafel sandwich — for a couple dinars or less, and stay in budget accommodations, like hostels in Amman and Bedouin camps in Wadi Rum for around $20-30 per night. If you’d prefer more upscale dining options and creature comforts, you will find an array of restaurant options with extensive local and international menus in Amman. Luxury hotels in Amman, Dead Sea, Petra, and Aqaba run around $100-$300+ per night. There are mid-range options and lovely boutique hotels as well, for around $100 per night. Whether you are traveling on a budget or planning to indulge, keep in mind that the typical cost per day for a tour is about $125-300. Visitors to Jordan tend to travel by car — either self-driving a rented car or hiring a car and driver. Public transportation in Jordan can be unreliable and there are no trains. If renting a car, keep in mind that driving in Jordan may be quite different from driving at home. Drivers tend to be aggressive. In many places, there are no lines on the road, and even if they exist, people often ignore them. Road signs are not always posted and GPS may not be accurate. If you find driving in Jordan exhausting, ask our specialists about booking you a driver and guide so you can sit back, relax, and enjoy the spectacular scenery. If you are traveling from Amman to Wadi Rum or Aqaba, you may consider a domestic flight from Queen Alia International Airport in Amman to King Hussein International Airport in Aqaba. The Jordanian dinar (JD). One JD is approximately 1.4 USD (as of early 2018). In the main cities and most hotels throughout the country, credit cards are generally accepted. However, you are likely to find that Bedouin camps, smaller shops, and restaurants are cash only. It is recommended that you keep cash on you, so you don’t find yourself out in the desert, far from an ATM! Is there a tipping culture in Jordan? Yes. A 10% tip is standard. In restaurants, a 10% service charge is often added (check your bill), but as service industry wages are often low and the restaurant — not the worker — may be receiving that service charge, a bit extra is always appreciated. In a taxi, you can round up to the closest dinar and give them a few extra dinars if they help with heavy bags. For porters, 1-2 dinars per bag is expected. Leave the housekeeping staff at least 2 JD per night and the room service 2-5 JD. If you treat yourself to a spa experience, be sure to tip there as well: 5-10 JD, depending on service and treatment. This depends largely on the season and the activities you’ll be doing. As Jordan has a desert climate, expect high temperatures and a lot of sunshine in the summer; comfortable temps and some rain in the spring and fall; cold weather, shorter days, and much more rain (and occasionally snow) in the winter. The best way to prepare is to bring breathable layers (natural fabrics are recommended) that can be added and removed throughout the day with the changing conditions. If you will be hiking, be sure to pack appropriate footwear. And of course, you’ll need sunscreen and a hat. If you’ll be spending time in Amman, don’t forget to bring along clothing that you’d wear in a city. Many locals in Amman are well-dressed and some restaurants enforce a dress code, so you will certainly be out of place (and maybe not allowed in) if you try to attend a nice rooftop dinner in your hiking gear. Do women have to wear hijab? No, hijab are not required in Jordan — unless entering a mosque, which you are not likely to be allowed to do unless you are Muslim. While you will see many women wearing hijab in Jordan, there are also plenty of women who do not wear them. That being said, you will notice that for the most part (outside of the international bars and restaurants), women dress conservatively, with chest, shoulders, and legs covered. Food and family are hugely important to Jordanian culture, so you are likely to find yourself eating often and in a variety of settings — from standing at a street stall in downtown Amman or dining on international cuisine at a rooftop restaurant, to eating around a campfire in Wadi Rum or sitting on the floor of a family home. The food is influenced by both Bedouin culture and international flavors, so you’ll discover a variety of dishes to choose from, most containing meat, vegetables, herbs, and rice or bread. The national dish, mansaf — made of lamb, yoghurt, and rice — is a must. You’ll find falafel and hummus aplenty, and olive oil used in many dishes. Mediterranean and Middle Eastern herbs are also commonly used. Be sure to sample some of the herb blend za’atar sprinkled on labneh cheese, bread, yoghurt, or used as a rub on meat. The ingredients vary, but most za’atar contains thyme and oregano, and in Jordan, it often includes wild sumac.